Global leaders in low-cost, low-power, secure direct-to-orbit satellite connectivity for the Internet of Things. In a world first, Myriota has pioneered a new way to retrieve data from anywhere on earth, either on land or at sea. 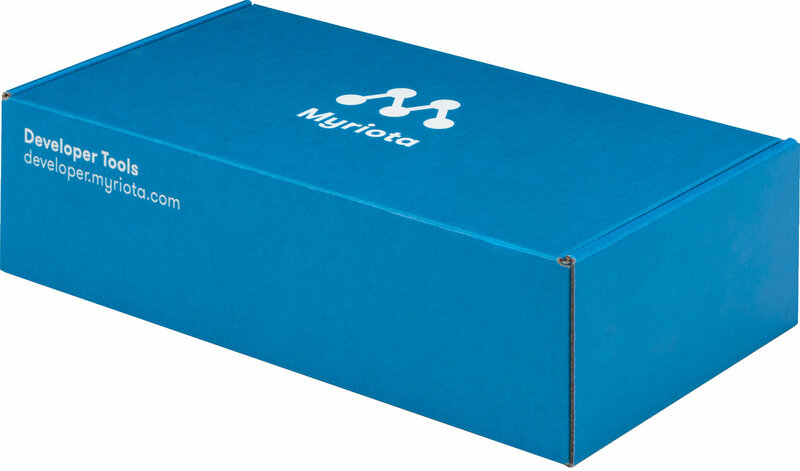 Leveraging years of customer focused R&D and an extensive suite of patented innovations, Myriota delivers secure, long battery life connectivity. Everywhere. Always. Low-power Myriota Modules anywhere on the earth's surface. Whether it’s a single remote sensor or asset, or millions scattered around the world either on land or at sea, location and scale are no longer limiting your access to the data you need. Affordable Myriota Modules securely transfer data direct to the cloud via our nanosatellites, without the need for additional gateways, towers or other ground-based infrastructure—reducing costs and simplifying deployment, maintenance and network management. Myriota Modules contain patented technology which saves power and delivers the long battery life required for IoT applications. Low Earth orbit nanosatellites capable of receiving millions of messages. Each of our growing constellation of nanosatellites orbits the earth at an altitude of around 600 kilometres (370 miles). Our patented technology means we can simultaneously listen to massive numbers of almost imperceptible signals from Myriota Modules. This means our platform not only scales to billions of devices, but also greatly reduces the power use of devices on the ground. Bringing things back to Earth. Messages are securely received by a global network of satellite ground stations and processed by software hosted in the cloud. This allows Myriota’s platform to scale significantly and provides ease of integration. Data from your Myriota Modules is accessible via our cloud application programming interface (API) anywhere in the world with an internet connection. Your data. Everywhere. Always. Water security & irrigation, livestock tracking, sensor telemetry, soil moisture probes, weather stations, logistics & asset management, preventative maintenance, infrastructure monitoring, and fuel stores. For farmers, corporate agriculture, agronomists, agricultural sensor providers, agtech companies, universities, and industry bodies. Asset tracking and condition monitoring, end-to-end freight and traceability, route planning and optimisation, business improvement, and intelligent transport. For traffic monitoring and management operations, grain bulk handlers, hire companies, petroleum distribution, and new vehicle transport companies. Vessel tracking, monitoring for aids to navigation and connected buoys. For global maritime tracking, manufacturers of marine aids to navigation, commercial fishing, government agencies, research organisations and regulatory bodies. Warfighter telemetry, theatre monitoring, strategic logistics and asset tracking, remote unattended sensors, and military IoT. For defence forces, defence science and research, and defence contractors, manufacturers and primes. Weather stations, groundwater and surface water flow measurement,, oceanography, soil monitoring, seismology, and natural resource management. For government agencies, research organisations, natural resource management, environmental management, parks and wildlife. Asset tracking and monitoring, equipment inventory and tracing, predictive maintenance, and process optimisation. For mining companies, contractors, systems integrators and solution providers. Smart grid, meter reading, infrastructure management, remote alerts and control. For electricity, water and gas retailers, meter manufacturers and microutilities. From companies developing sensors, to systems integrators and solution providers, our partners are delivering solutions for the real world using our platform and infrastructure. We’re shaping the future of IoT devices. We’d love you to join us. Our simple, flexible options allow you to spread your messages over an unlimited number of connected devices, delivering an ultra low per-device cost. Secure, long battery life IoT connectivity for 1c per message. Add the most affordable, massively scalable and longest battery life global connectivity to your IoT solution, backed up with innovative software and hardware tools.